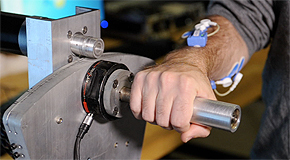 The U.S. Department of Defense (DoD) wants to reduce liquid fuel consumption at forward operating bases by expanding the use of alternative energy sources and by improving energy efficiency. 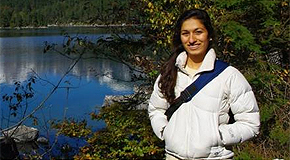 Alisha Kasam, BSME ’13, filmed The Story of ME in the Spring of 2013. In the video, she speaks to the remarkable opportunities of which she took advantage while attending Georgia Tech and the Woodruff School. Nearly a year after filming, Kasam followed up to share about her great successes post-graduation. Enjoy her ME story. Designing nanomedicine to combat diseases is a hot area of scientific research, primarily for treating cancer, but very little is known in the context of atherosclerotic disease. 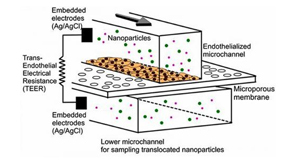 A group of researchers, including Woodruff School Assistant Professor Tony Kim, have engineered a microchip coated with blood vessel cells to learn more about the conditions under which nanoparticles accumulate in the plaque-filled arteries of patients with atherosclerosis, the underlying cause of myocardial infarction and stroke. 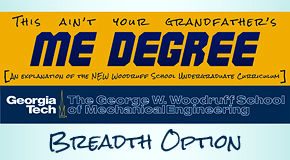 The new, flexible undergraduate curriculum at the George W. Woodruff School of Mechanical Engineering certainly offers more opportunities in learning than did, say, your grandfather's degree! To learn more about the breadth option, in which a student may earn a minor or certificiate in one of more than 50 disciplines, take a look at these videos, featuring Drs. Richard Barke, Associate Professor of Public Policy, David Laband, Chair of Economics, and Steve Usselman, Chair of History, Technology, and Society. 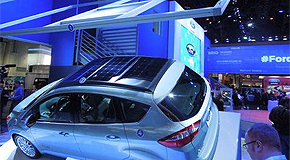 The C-MAX Solar Energi Concept is a first-of-its-kind hybrid electric vehicle with the potential to free drivers of their dependence on the electric grid. 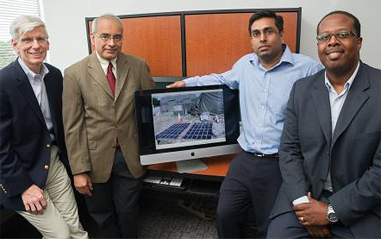 Instead of recharging its battery from an electrical outlet, the vehicle harnesses the power of the sun by parking under a special concentrator that acts like a magnifying glass, directing intensified rays from the sun onto solar panels on the parked vehicle’s roof below. "Allow ME to Introduce..." is a series of videos introducing the faculty of the George W. Woodruff School of Mechanical Engineering at Georgia Tech. 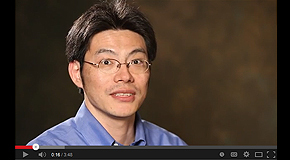 Watch the videos in this playlist to learn more about Jun Ueda, Andres Garcia, Min Zhou, Nazanin Bassiri-Gharb, Olivier Pierron, Susan Thomas, and more. We are well into the spring semester and even survived SnowJam14 - parts 1 and 2! We are gearing up for some incredible Spring events and hope you will join us.